Identify and recognize the characteristics of large-format, thin porcelain panels as defined by industry standards. Explain the life cycle of porcelain panels from raw material extraction, through manufacturing, building installation and use, and end of service life. 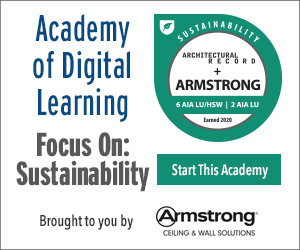 Assess the safety and functional contributions of large-format thin porcelain panels as they contribute to healthy and sustainable design over their full cycle. Specify thin porcelain panels in a variety of green and conventional buildings and formulate appropriate selections related to specific applications. Please note there is no audio associated with this presentation.